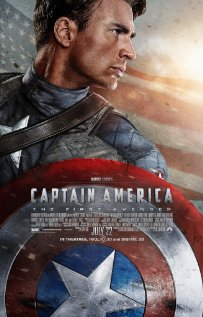 I will admit I've never really known Cap's origin story and, in the big scheme of the Marvel Universe his origin story in this film does carry forward nicely into both Ironman's and Hulk's origin stories. 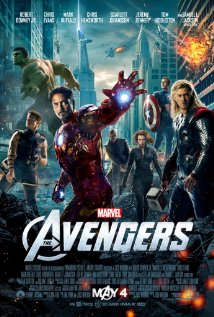 As in this film we see some of Tony Stark's Dad's earlier work with the military during the war and the beginnings of the US militaries quest to create a superior soldier through science. I was quite impressed with Chris Evans as Captain America both before and after his transformation. Perhaps the only criticism I'd have is he plays the role a little too seriously. Like Captain America is a little too tightly wrapped. Perhaps that is appropriate though? The progression of the Captain America persona from stage act to real time super soldier I thought was quite inspired. Really made the whole idea of him wearing the suit more of a natural progression that those around him would accept. Hugo Weaving was well cast as the Red Skull and was sufficiently menacing, backed up with some cool tech and an awesome car. I will say he was some what robbed of what should have been an easy victory against Captain America and the US military. He clearly had the bigger army and superior fire power (virtually every gun in his artillery from foot soldier to tanks were powerful enough to vaporize people on the spot). Yet when his base is attacked his massive army seems to be mostly on leave? Overall Cap's film was a little slow for me. It takes such a long time before you see Captain America on screen in his final superhero form. Then when he is doing his thing most of it is in montage until the final battle scene. I do think Cap's film tries to have a little more substance in terms of his motivation to become Captain America compared to say Ironman and Thor. Underneath Cap's moral code is to fight injustice having known what it's like to be 'the little guy' quite literally. I'll be interested to see more of Cap in the Avengers movie and will hopefully look forward to a proper Captain America film in his next solo feature - where we can see him be Cap right from the get go. I heard lots of good things about Thor's movie. Before it came out many people were skeptical that Thor could generate enough interest to pull in a mainstream audience. Though many people said that about Ironman too. However to Thor's advantage, his first solo film isn't an origin story as such because most people have some knowledge of the mythology upon which Thor is based. The film manages to explain all this in enough detail right at the beginning so we can get straight into Thor being awesome as Thor. It makes the film very accessible right from the get go. 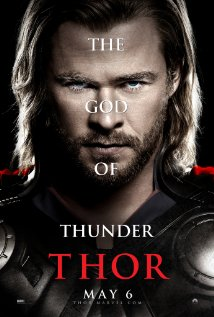 Chris Hemsworth is great as Thor. He plays the character with a gleam in the eye that is very reminiscent of Robert Downey Jr's Tony Stark. Like Stark, Thor knows he is good at what he does, however this leads him down a path of understanding that there's more to greatness than just being the best. As a movie Thor is a great summer blockbuster, pop corn movie. It's not too deep, it's got laugh out loud humor, some truly awesome action sequences (just love how Thor took out that Ice Monster) and allows you to suspend disbelief when Thor arrives on earth. Perhaps my only question mark is, given just how powerful Thor is on his own, why would he even need the help of a bunch of slightly elevated humans in the Avengers? Thor's abilities are on par with Superman based on what we see him do in this film. I'll be interested to see how he fits in with the team. Overall I really enjoyed Thor. It's not too deep and it wins you over early with some good humor. I think it was a wise move to not make Thor's story too complex and just keep it a fun ride from beginning to end. The success of the film will mean Thor could really have an audience for his second solo feature.